The Town Council voted unanimously to hire KMP Hydrant to flush the fire hydrants in Town at an expected cost of $4,500. Lapel Firefighter Tom Marvel explained to the Town Council that the process of flushing a hydrant is a lot more than it sounds and involves testing the hydrant for pressure and flow, clearing the line and will help improve ISO ratings that can lead to lower insurance rates for home owners. Town employee Trisha Bousman explained to the Town Council that they would like to switch from their current national provider which supplies clean floor mats every month to Town Hall and other Town locations to Plymate a company based out of Shelbyville. The saving will be approximately $50 per month. Both Paula Lee and Bousman explained that the Plymate product appears to be much better. The Town Council approved the change. 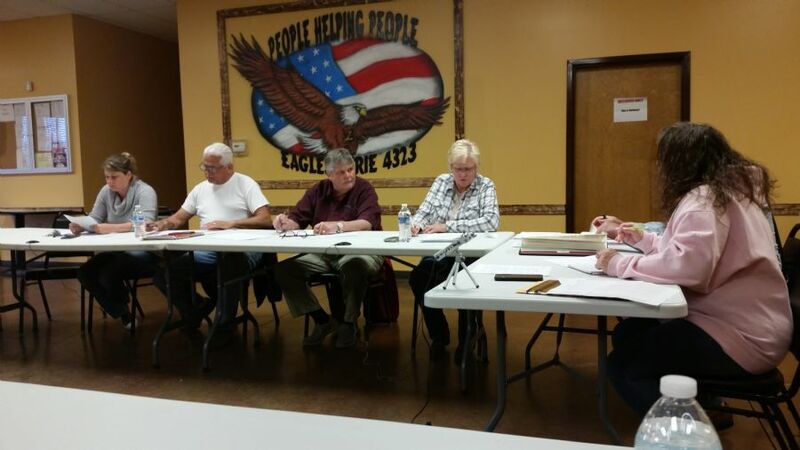 The Town Council set September 10th at 6:30pm at Town Hall for a Budget Hearing. The Town Council opened Trash Contract bids. The current rate in year three of the existing CGS contract is $12.50 per household. The Town Council voted unanimously to keep CGS and accept the 5yr contract. New Police Chief Kelly Naselroad introduced himself to the Town Council. The Council approved purchasing a K9 Cage for the new Tahoe. The Town Council tabled hiring MacAllister's under a service agreement to maintain the water treatment plant generator. The Town Council voted to hire Dorsey Excavating to replace 3 manholes on 5th and 6th St before the Community Crossings road paving project can begin. Bids on this project were Watson $6,500 + $7,000, Culy $7,500 + $8,800 and Dorsey Excavating $8,500.